Obituary for Mary Jo Burd | Fox Funeral Home, Inc.
Mary Jo Burd (Schenkel), 85, passed away on Sunday, April 14, 2019, with her family by her side. She was born in the Spring Hill neighborhood of Pittsburgh, Pennsylvania on December 18, 1933, and was the daughter of the late Helen and Edwin Schenkel. She moved to Saxonburg with her family at the age of 6 in 1939. Mary Jo graduated from Winfield-Clinton High School in 1951 and the West Penn School of Nursing in 1954. She served more than forty years as a registered nurse, retiring from the Butler VA Medical Center in 1991. In 1992, she received special commendation from the Pennsylvania Nurses Association and VA Administration for her professional commitment to the highest standards of nursing care. She was a member of the West Penn Hospital Alumni Association and associate member of the Butler Memorial Hospital Association. On June 3, 1954, she married her high school sweetheart James M. Burd and they raised their family in the Saxonburg area until his passing in March 2013. Together they enjoyed country music, square dancing and many camping trips, "Florida winters" and international excursions with family and close friends. Mary Jo always made people the cornerstone of her life. She greatly enjoyed spending time with family and was proud to watch her four grandsons grow into "fine young men." She greatly enjoyed genealogy and was a foundational figure for her extended family, always expressing love and interest in the lives of her many nieces and nephews along with their children and grandchildren. She was a member of the Saxonburg Memorial Church for more than sixty years and an active participant in many community organizations. In 2019, she was recognized as a sixty-five year member of the Saxonburg Area Women’s Club. She also enjoyed several decades of participation in the "Red Bonnets and Bifocals" Butler-area chapter of the Red Hat Society, Butler County Historical Society, Butler Chapter of the Order of the Eastern Star, and Slippery Rock Institute for Learning in Retirement. In 2015, she was inducted into the Pennsylvania Voter Hall of Fame for participating in every election for more than 50 consecutive years. She is preceded in passing by her husband James Burd, parents Helen and Edwin Schenkel, and sole sibling Barbara Czintos. She is survived by her two sons: James E. Burd, wife Nelda, and grandson Joshua; and Mark D. Burd, wife Dianna, and grandsons Garrett, Hayden and Simon. 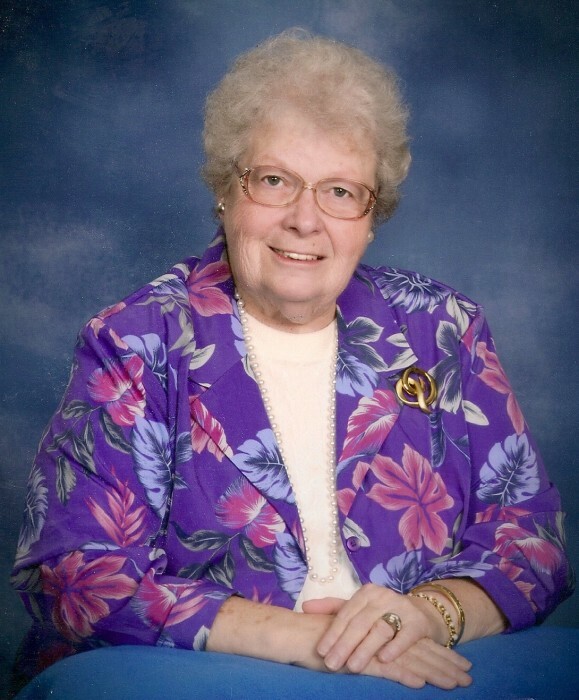 Friends of Mary Jo Burd, who passed away Sunday, April 14, 2019, will be received from 9:30 a.m. to 11 a.m. on Thursday, April 18, 2019 at the Saxonburg Memorial Church, 100 West Main Street, Saxonburg, PA 16056. Funeral services will follow at 11 a.m., with the Rev. Douglas M. Dorsey presiding. Burial will be in the Saxonburg Memorial Church Cemetery. In lieu of flowers, donations may be directed "In Memory of Mary Jo Burd" to the Saxonburg Memorial Church, PO Box 466 Saxonburg, PA 16056.